Get ready for race day (and the brunch you'll eat after) with the help of our Philadelphia Marathon guide. By Bailey King and Rachel Spurlock·	 11/14/2018, 8:00 a.m.
Read on for the only Philadelphia Marathon guide you need. Photograph by Flickr/Chris Waits. It’s the final countdown, folks: The AACR Philadelphia Marathon is a mere four days away — and the Half Marathon is just three! Thousands upon thousands of excited runners will be flooding the Art Museum area next weekend to run the race they’ve been training oh-so-diligently for, while thousands of other people — the beloved fans — will come ready to cheer with funny and thoughtful signs. Whether you’re running the marathon or half marathon yourself or just plan on cheering your heart out for your devoted running friends, we’ve got you covered with everything you need to know about the big weekend. Just as we’ve done in years past, we’ve compiled a downright exhaustive Philadelphia Marathon guide, covering all of the important need-to-know info for runners and spectators alike. From where to score pre-race coffee at the crack of dawn to where to find Porta Potties along the way and, of course, where to chow down and throw back a cold one post-race — it’s all here. After reading this, you’ll be fully prepared for what lies ahead. Now, let the countdown to race day begin! All your lingering (or last minute) questions, answered. 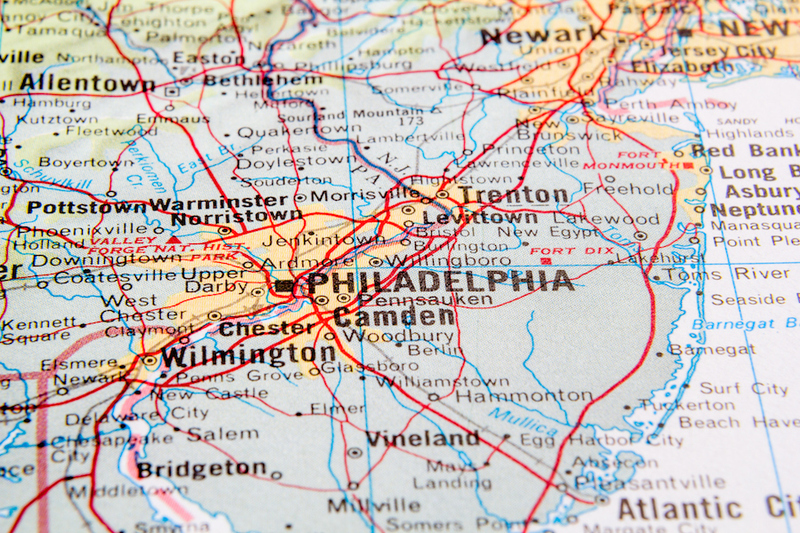 »When is the Philadelphia Marathon and when does it start? The marathon will take place on Sunday, November 18 at 7 a.m. Arrive early to make sure you have enough time to get through security, gates are open as early as 5 a.m. The half marathon will be held on Saturday, November 17 at 7:30 a.m.
»Where is the start/finish area? 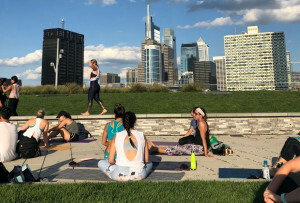 All races start at the intersection of 22nd Street and Benjamin Franklin Parkway, right by the Art Museum, and finish on Kelly Drive at Eakins Oval. »How can I get to the starting line? Friends, we can’t stress this point enough: Take public transportation to the race. It’s for your own good. You can stay up to date on SEPTA’s scheduling here. If you can’t take public transit, avoid parking in the Art Museum area. City dwellers should plan to take the subway (BSL or MFL) to the City Hall stop and walk to the starting line from there. It’s about a 20-minute walk, which sounds like a great warm up, right? Buses are another great option, depending on where you’re coming from. Suburbanites, you should be able to take the regional rail to Suburban Station and walk from there. That said, it is veryyyy important that you check the weekend schedule for whatever line you take into the city to ensure that you have plenty of time to get to the starting line before the gun goes off. If you’re of the brave folks that decide to drive, know that there will be no on-street parking available in the starting-line area on Saturday or Sunday before the races. And parking in nearby Fairmount is extremely frustrating, even on its best days — so that’s not really an option, either. To help you out, we gathered a list of paid lots close to the race below, but parking in a slightly father Philly neighborhood — South Philly, maybe? — and hopping on the subway might just be your best bet. Sure, it’s not the most convenient route to the starting line, but it might be the most stress-free — panics over full lots and road closures are no way to start a marathon. » When and where is bib pickup? To nab your race packet and bib, runners should head to the Health and Fitness Expo at the Pennsylvania Convention Center (1101 Arch Street) on Friday, November 16th, from 11 a.m to 9 p.m or on Saturday, November 17th, from 10 a.m. to 7 p.m. While you’re there, you might as well look around — the Expo will be full of fun stuff like vendors showcasing running apparel and accessories, health and fitness tips, and lots of free samples. Plus, there will be tons of Philadelphia Marathon merch on sale. Non-runners are welcome at the expo as well, so bring your friends! » Where will the Porta Potties be? And will there be water stops (and toilets!) along the course? These are, perhaps, the most important questions pertaining to the race. There will be toilets at the start/finish area, but the Porta Potties in Eakins Oval are usually mobbed. Running coach Marcy Gialdo pointed out to us that the ones along Pennsylvania Avenue near 24th Street can be less crowded. During the race, Porta Potties will be located at all 22 water stops (listed below). 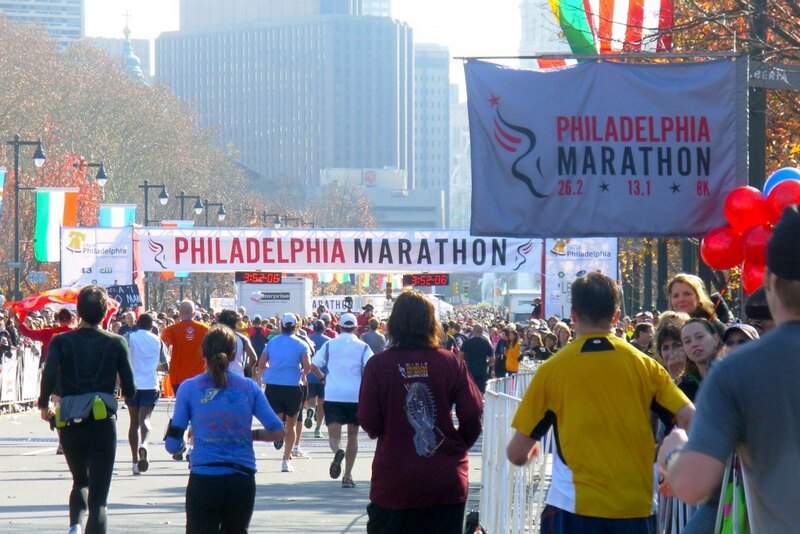 Find out where to cheer in our Philadelphia Marathon guide. Photograph by Flickr/Chris Waits. » I’m going to watch the race. Where should I stand and cheer? Supportive (and loud!) 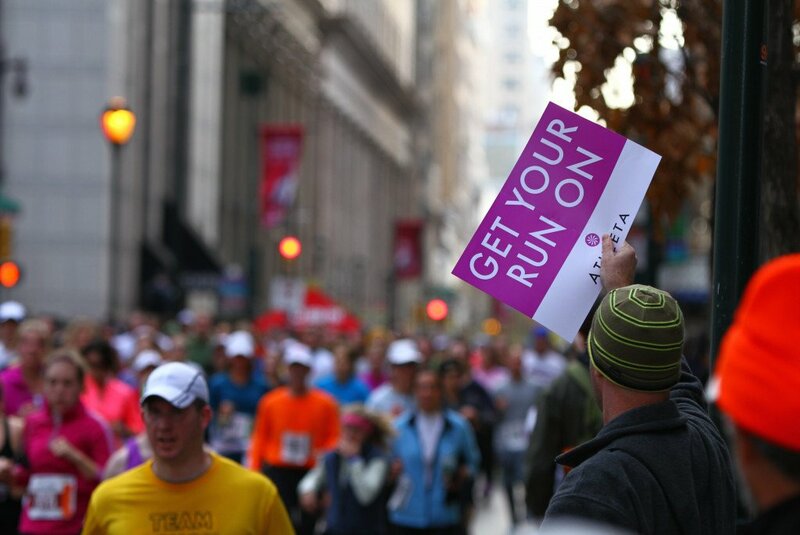 spectators are what makes the Philadelphia Marathon so awesome, so yay for you! There are cheer zones located all over the course, but the water stops are definitely the hot cheering spots. To help you plan, check out this list of cheer zones (with approximate times!) suggested by the race here. Want our recommendations for the best spots to cheer? We’re so glad you asked! If you’re cheering for a full-marathon finisher, this is where the party’s at. The fun gets started near the Falls Bridge and pretty much carries through to Manayunk. There’s usually a cheer station in East Falls where people go all out — music, dancing, signs — and in Manayunk along Main Street, there are typically people handing out (what else?) cups of beer. If you want fewer crowds, position yourself along Kelly Drive, just past Boathouse Row. It tends to get really quiet along this stretch, and runners can use all the help they can get. Plus, on their way back toward the finish line, you’re the one-mile warning; runners will be psyched to see your smiling face. If huge mob-like crowds aren’t for you, we suggest steering clear of the start and finish line for two reasons: 1) The runners are plenty amped on their own, so they really don’t need you there; and 2) It’s just so stinkin’ packed. Better to plant yourself along the course — just be sure to tell your runner where you’ll be, so they know where to look for you — and meet up with them afterward. If you are dying to get that finish-line photo, stand somewhere in Center City and watch them whiz by in the first part of the race, then elbow your way to the finish line and plant it there until they cross. » I’m going to get really tired of clapping. What else can I do to cheer on runners? Glad you asked! We have a list of 10 ideas to help you be the awesomest spectator ever. Study up. At these early hours, coffee is crucial. Whether you’re getting up at the crack of dawn to cheer on 30,000 runners or you’re running the dang thing yourself, coffee is downright mandatory. Can I get an AMEN? To take the groggy early morning guesswork out of the situation, we sorted out the coffee shops along the course for your convenience. Starbucks: 1945 Callowhill Street. Opens at 5:30 a.m. Saturday; 6 a.m. Sunday. Wawa: 2040 Hamilton Street. Open 24 hours. Dunkin’ Donuts: 1500 Market Street Concourset. Opens at 6 a.m.
Dunkin’ Donuts: 1500 John F Kennedy Boulevard. Opens at 6 a.m.
7-Eleven: 1 Franklin Town Boulevard. Open 24 hours. 7-Eleven — 917 Filbert Street. Open 24 hours. Dunkin’ Donuts — 1100 S Christopher Columbus Boulevard. Open 24 hours. Dunkin’ Donuts — 308 South Street. Opens at 5 a.m.
Starbucks — 347 South Street. Opens at 5:30 a.m.
Starbucks — 200 West Washington Square. Opens at 5:30 a.m.
La Colombe — 1414 South Penn Square. 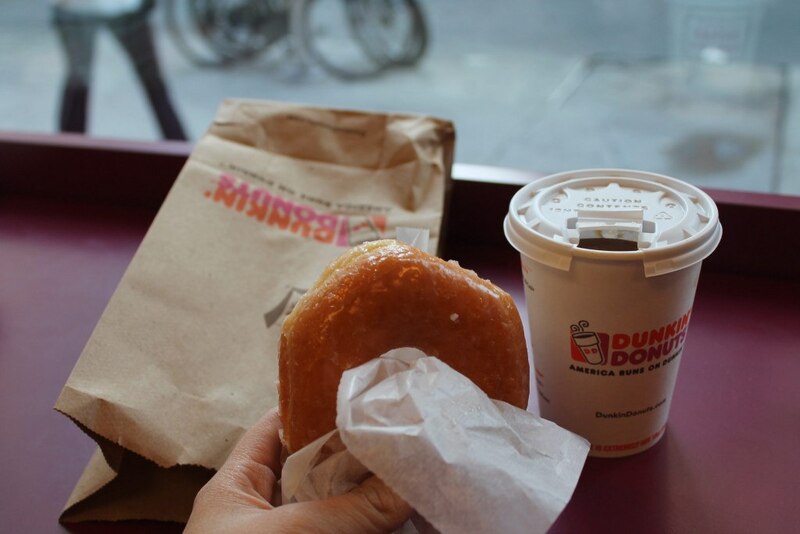 Opens at 8 a.m.
Dunkin’ Donuts — 1509 Chestnut Street. Opens at 5 a.m.
7-Eleven — 2200 Market Street. Open 24 hours. Dunkin’ Donuts — 2001 Chestnut Street. Opens at 4:30 a.m. on Saturday and 5:30 a.m on Sundays. Starbucks — 3401 Walnut Street. Opens at 5:30 a.m.
Dunkin’ Donuts — 3437 Walnut Street. Opens at 5:30 a.m.
Dunkin’ Donuts — 1501 North 52nd Street. Open 24 hours. Cosmic Cafe — 1 Boathouse Row. 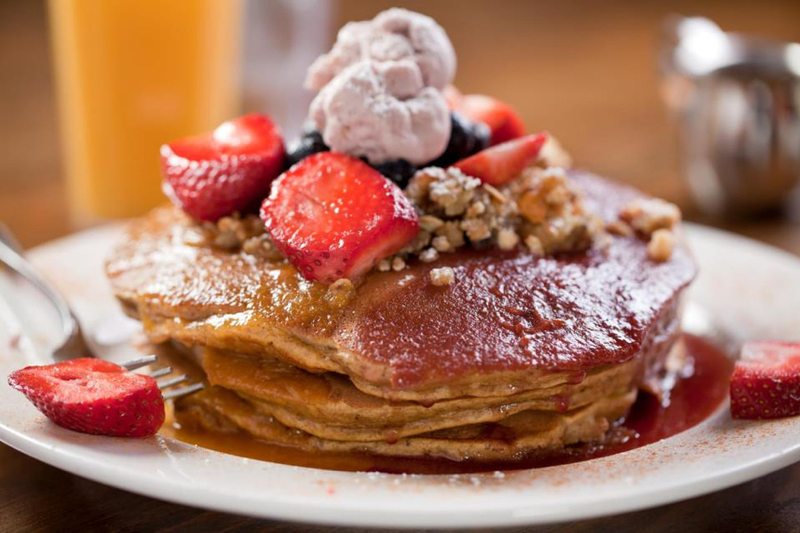 Opens at 8 a.m.
Trolley Car Cafe — 3269 South Ferry Road. Opens at 7 a.m.
Dunkin’ Donuts — 4268 Ridge Avenue. Open 24 hours. Vault and Vine — 3507 Midvale Avenue. Opens at 7 a.m.
Volo Coffeehouse — 4360 Main Street. Opens at 7:30 a.m.
Starbucks — 4415 Main Street. Opens at 5:30 a.m. on Saturday and 6:00 a.m. on Sundays. Because we would never want you to get lost, here are the Philadelphia Marathon maps you need. Is there any other way to refuel after an epic marathon finish? We think not. After running for literally miles upon miles, you deserve an ice-cold alcoholic beverage and a hearty brunch. 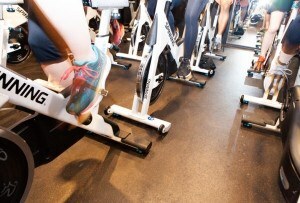 Below, you’ll find spots within hobbling distance from the finish line that serve both. Pro tip: Make your reservations now! Where: 601 North 21st St., 215-235-3500. Where: 2349 Fairmount Ave., 215-765-1616. Opens at: 10 a.m. on Sunday. Where: 726 North 24th Street, 215-232-3232. Opens at: 11 a.m. on Sunday. Where: 2028 Fairmount Avenue, 215-763-5500. Where: 2025 Fairmount Avenue, 215-769-2420. Where: 2130 Fairmount Avenue, 215-232-9000. Where: 1836 Callowhill Street, 215-568-1818. Where: 2321 Fairmount Avenue, 215-787-9930. Where: 2301 Fairmount Avenue, 215-978-4545. Where: 529 North 20th Street, 215-854-0923. Where: 1804 Callowhill Street, 215-636-9061. Where: 2120 Fairmount Avenue, 215-232-5359. So there you have it, folks! Your one-click Philadelphia Marathon guide. Here’s to many, many more weekends filled with running!